Standalone docks for Nintendo's hybrid console are heading to retailers very soon. It didn't take long after the release of the Nintendo Switch for players to start wondering if the Big N had plans to release a standalone dock for their latest system. Being portable, it just made sense that players might want to dock their Switch to a TV other than the one they primarily use at home, and fortunately Nintendo quickly followed up with an announcement that standalone Nintendo Switch docks would be coming soon. Well, soon is soon to roll around, and Switch players won't have to wait long to get an extra dock for their hybrid console. When Does The Nintendo Switch Dock Release? North American Nintendo Switch players will be able to get their hands on the standalone Nintendo Switch dock on Friday, May 19. That date makes for quite the quick turnaround, seeing as how there was little evidence that Nintendo had planned to release standalone docks before the Switch released back on March 3. Unfortunately, the unit won't be cheap. Players can expect to pay $90 for an extra dock, which feels like a high price for what's essentially a bit of plastic and some wiring. 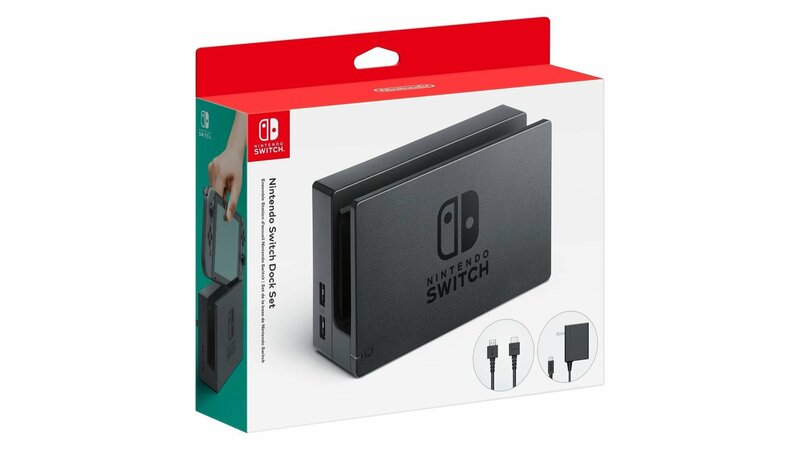 With that said, the Nintendo Switch Dock Set (pictured above) does include an extra Nintendo Switch AC Adapter as well as an HDMI cable, meaning absolutely everything players need for proper docking will be included within the package. Being a Nintendo product, any popular retail outlet that carries video games and video game accessories ought to carry the Nintendo Switch Dock Set. With that said, the Nintendo website specifically lists retailers Amazon, Best Buy, GameStop, and Walmart, so players will want to check those stores out first for the greatest chance of grabbing a dock in the case that Nintendo's famous limited supply mindset keeps stock running low. Whether docked or at home, the Nintendo Switch plays host to a number of fantastic titles such as those featured on our list of the Best Nintendo Switch Games.